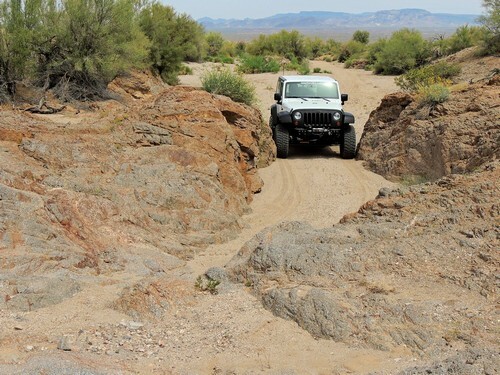 Northwest Passage is a fairly easy Jeep trail south of I-40. 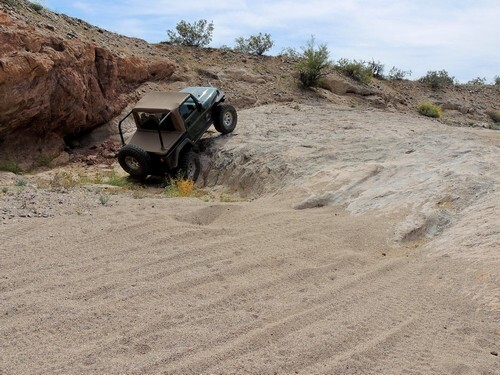 Visit one old and one active mine and do some mild rock crawling in a wash. The trail can be run in any direction, but doing the loop clockwise gets the more mundane part out of the way first. There is a GPS/gpx track file at the bottom of the page. 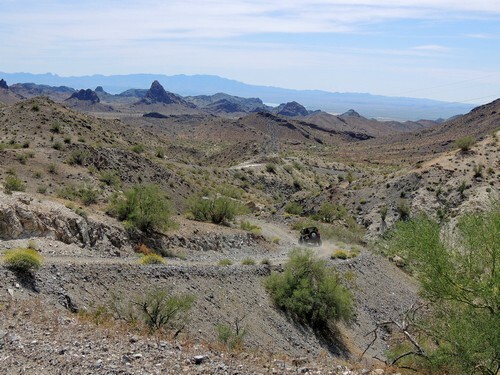 This trail leaves Highway 95, does a loop then returns to Highway 95 a few miles to the south. Start by paralleling the highway for a bit then turning and climbing up toward the powerline. 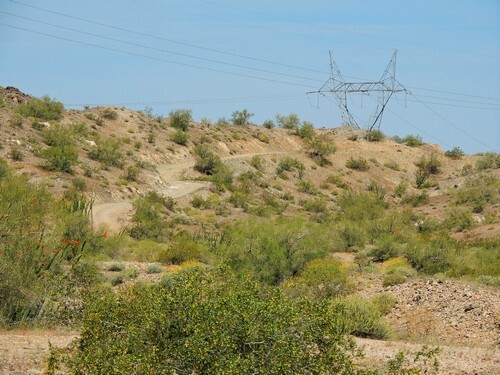 Follow north along the powerline until you come to a spur leading to the Gold Speck Mine. Shown as the lead photo on this page. This was active in April, 2017. Continue north along the powerline then make a loop through open desert and turn back to the south. 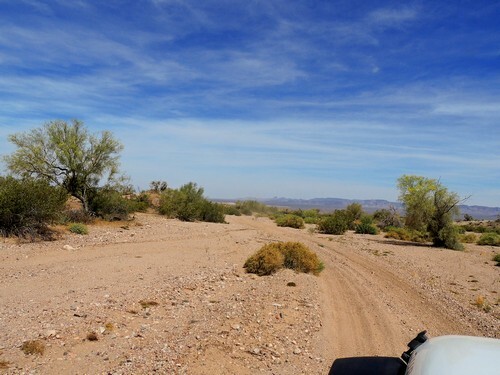 Heading south along the eastern side of the loop will take you through a wash with a few minor challenges, including a squeeze just wide enough for a JK Jeep to get through. There are a few extra credits for more adventurous souls. 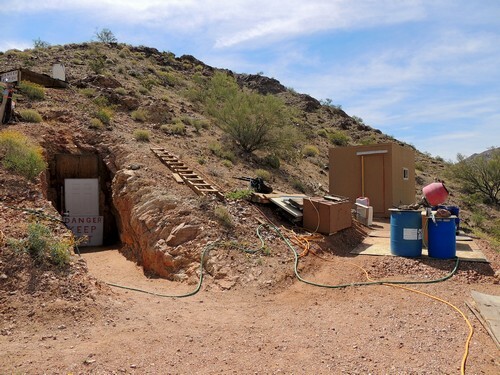 This track will take you on a short loop through the old Boulder Mine. 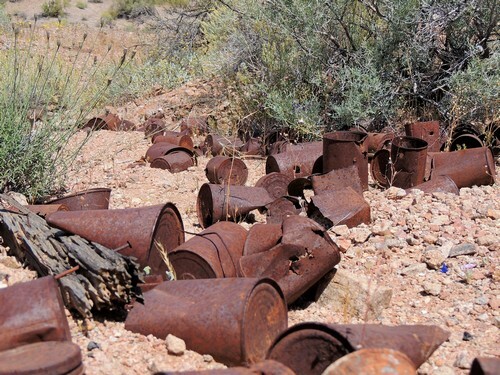 Not much left except an old stove and a few tin cans. Complete the loop and head back on the same road you came in on. Head south down the pictured hill and then down a wash until you connect back to Highway 95. 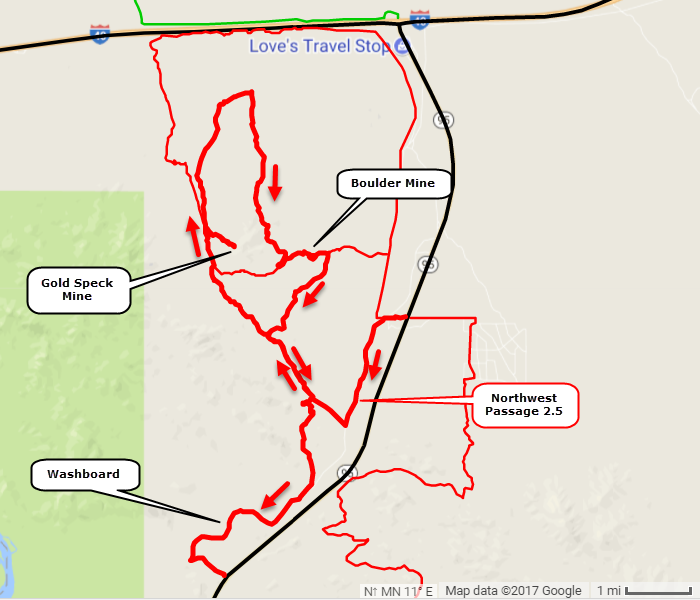 We did this in April, 2017 and the wash heading south to Highway 95 had a lot of washboarding. It was terrible in a Jeep.